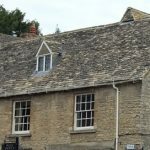 Whether your property has natural clay tiles or concrete tiles, Abbey Roofing Contractors Limited offer an extensive roof tiling service throughout Witney, Oxford, The Cotswolds and further afield. 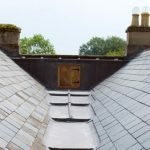 Having your property re-roofed or tiling carried out as a general overhaul can be daunting if you aren’t aware of what the project entails. We provide advice in regards to which materials are most suitable to meet your requirements, ensuring that any clients property, commercial or domestic, will look aesthetically pleasing upon completion. 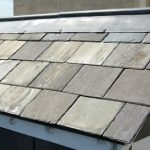 Abbey Roofings experienced team can work with both new and reclaimed tiles. If you have a smaller budget for your project then reclaimed tiles are a perfect alternative to new tiles. As they will have previously been used, they will already offer that ‘worn’ look which can help them better match with existing tiles. 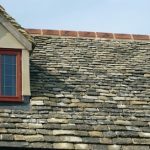 Natural materials, such as clay and slate, are a great addition to any house or commercial property when detailed and installed correctly. 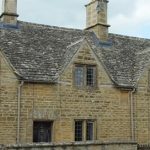 Clay tiles generally have fantastic aesthetic properties to enhance both aged character buildings or modern developments alike. 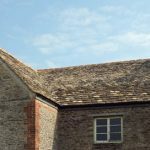 Natural slate tiles offer a very long life expectancy and are an extremely popular choice for many historical and listed buildings. In recent years, it has also been a common choice for modern, architecturally designed properties. 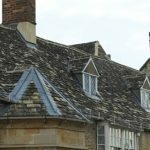 Abbey Roofing has worked with slate tiles on many buildings including a complete re-slating using Natural Welsh Slate over The Old Radcliffe Infirmary in Oxford. 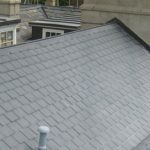 Concrete roof tiles can provide a less expensive alternative to clay or slate and this material is available in an extensive number of colours. Concrete tiles represent and economical solution and are commonly seen throughout new build developments. 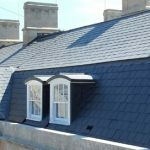 For further information on our roof tiling service throughout Oxfordshire and the surrounding areas, please get in touch with a member of our team on 01865 580 067.